The development of shooting games can be described with each passing day. Gamers’ game experience is increasing and their enthusiasm is rising. Nowadays “chicken” this type of shooting competition game has swept the world. In this type of game, hundreds of players compete with each other on the battlefield that fills the smoke, compete for resources, defeat the enemy, and become king. 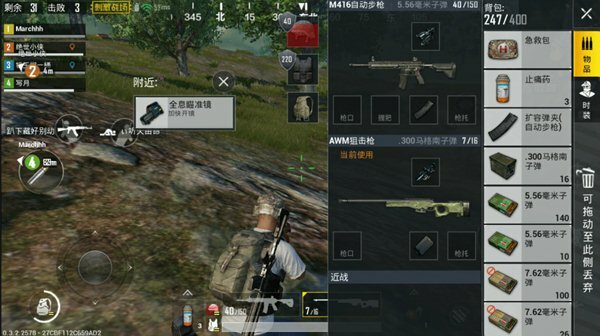 In recent days, Photon Studio has produced a mobile game named “PUBG Mobile: Stimulus Battlefield”, which has received instant support from many players, exquisite images, real ballistics, tense atmosphere, and refreshing operation. Photon’s well-intentioned. Then how can the player invincible in this game, stable chicken? Next I tell you about this shooting athletics game related skills. What kind of firearm should be taken in the early stage? In the early stages of the game, resources are required to be searched by players, including firearms, therapeutics, gun accessories, and backpacks. However, after some players jumped to the ground, they saw that the resources were depleted, regardless of whether they were good or bad, and encountered enemies who had hit and missed indiscriminately, and were ultimately killed by others. The game experience was reduced. In fact, what kind of firearms are required in the early stages is very particular. If they are randomly searched for and picked up, like a bear and glutinous rice, throwing a stick with a stick will make it difficult to eat chicken successfully. As for which kind of firearm is needed, this can be divided into two situations: Some players like to land in sparsely populated areas. Players like to land in resource-rich places. The former players mainly use SCAR-L rifles or UZI assault rifles. Because the enemies who fall with themselves are scattered or not, so there is no need to consider whether they are close to the enemies and they should look at them. Going long way, waiting for the contraction of the donuts, confirming the safe area, and then observing the next place where he should go, in the process, it is very likely to encounter the enemy in the wild. At this time, the rifle will play a major role and become an enemy. The sharp weapon of man, if it is close to the enemy, is closer to the enemy. At this time, he is replaced by a submachine gun, preemptive, and takes off his enemy. The latter players mainly use S686 or other shotguns or UZI assault rifles. Because of the abundant resources of landing sites, there are many players that fall here. This will result in large-scale gun battles and large shotgun power. 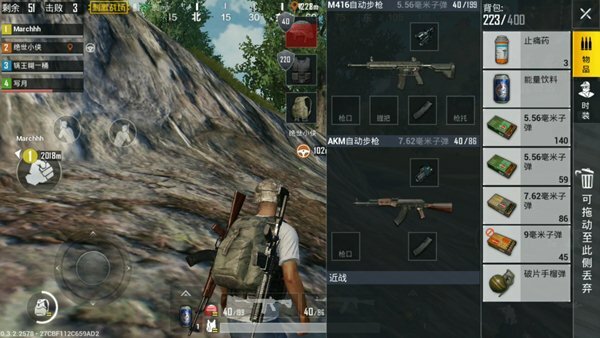 It is possible that the enemy will be killed and the assault rifle will be faster. This can cause the enemy to be caught off guard. These two types of firearms are the winning weapons that were used to deal with the enemy in the early stages. After the surrounding enemies have been cleared, they may consider replacing the firearms. Second, what kind of firearms should be used in the mid term? By the middle of the game, the security zone was smaller and the gunfight broke out frequently. At this point, the required firearms can still be considered in two different situations. One is a player outside the safe area, and the other is a player near the center of the safe area. The former players need to move to the safe area. Naturally, it is not suitable to use a sniper rifle. Because they are slow to shoot, if they cannot kill an enemy in the safe area, they are likely to expose themselves to the wild and lose their profits. This advantage. At this time, players should consider rifles or submachine guns as the main weapons. If they can be equipped with related accessories, it is even better to send in the snow. And if it meets with the enemy, the enemy is also outside the safe area and uses the assault rifle to engage in a war. If the enemy is in a safe area, it will be switched to a rifle and will continue to suppress it with the help of trees and other objects. Opportunity to kill the enemy and enter the safe area. The latter type of players use sniper rifles as their main weapons, UZI as their sub-weapons, and the types of firearms they consider to be used to deal a fatal blow to their enemies. If the enemy is outside the safe area and his form is exposed to the wild, switch the sniper rifle and calmly kill the enemy. If the enemy is in a safe area and there is a house as cover, then the submachine gun will be switched and approached. Kill it. Third, what kind of firearm should be used later? In the later stages of the game, the security zone is small. At this time, the sniper rifle is limited in function. Players and players may meet each other at any time and they need to solve the enemy within a short time and transfer the position to prevent exposure. Submachine guns are less powerful and do not apply at this time. Rifles have become an important magic weapon for chickens. 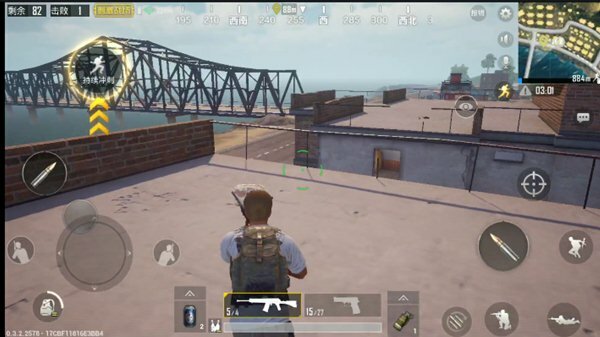 The genuine PUBG mobile game produced by Photon Studio features more features and details, allowing the player to enjoy the game. A lot of attention and support. Of course, after mastering the technique of selection of guns, you should also participate in actual combat, experience first-hand, and use gun techniques to stabilize chickens and gain happiness!